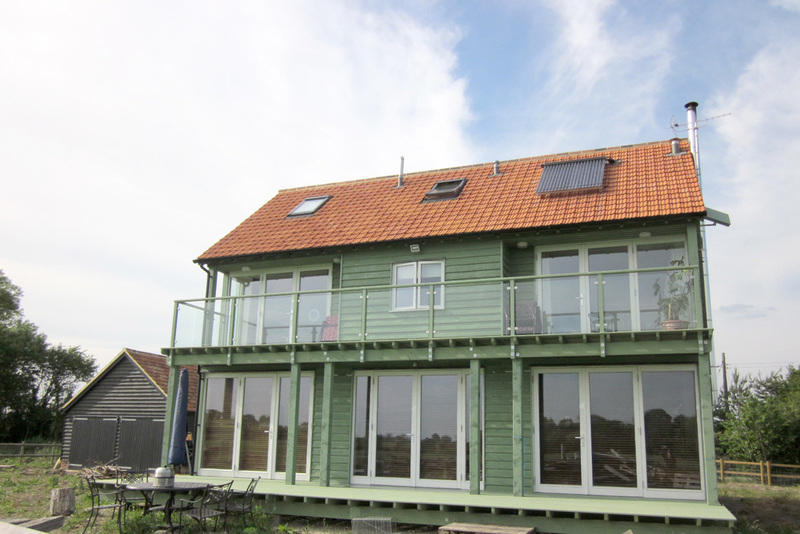 A new sustainable house constructed to Passivhaus standards. 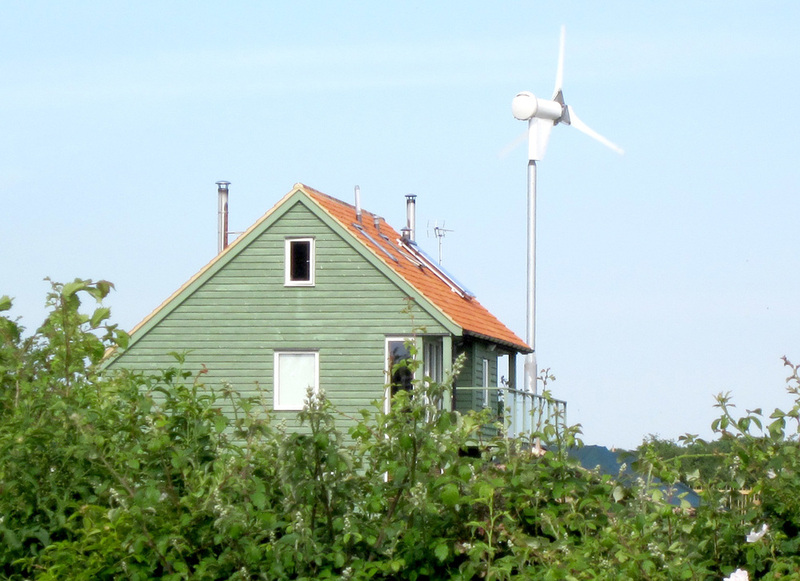 This house is designed to be self-sufficient with a wind turbine, log burning stove and cooker powered by fuel grown on site, rainwater collection for toilets and washing, reed-beds for sewage treatment and earth pipes for natural ventilation. 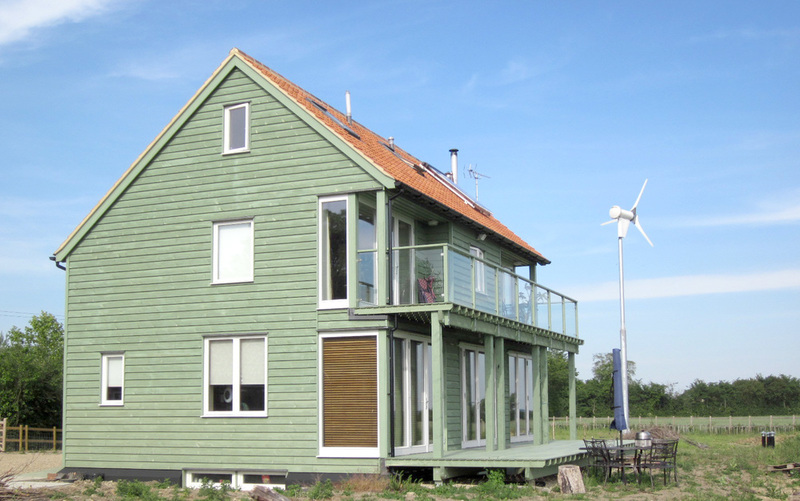 The house is built from timber with recycled paper insulation and uses eco-friendly paints to reduce emissions. 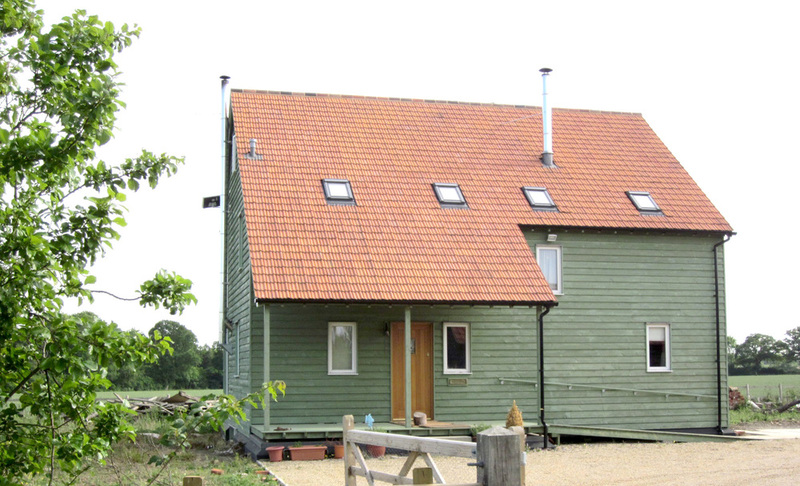 Small windows and service rooms on the north side limit heat loss from the main living spaces. 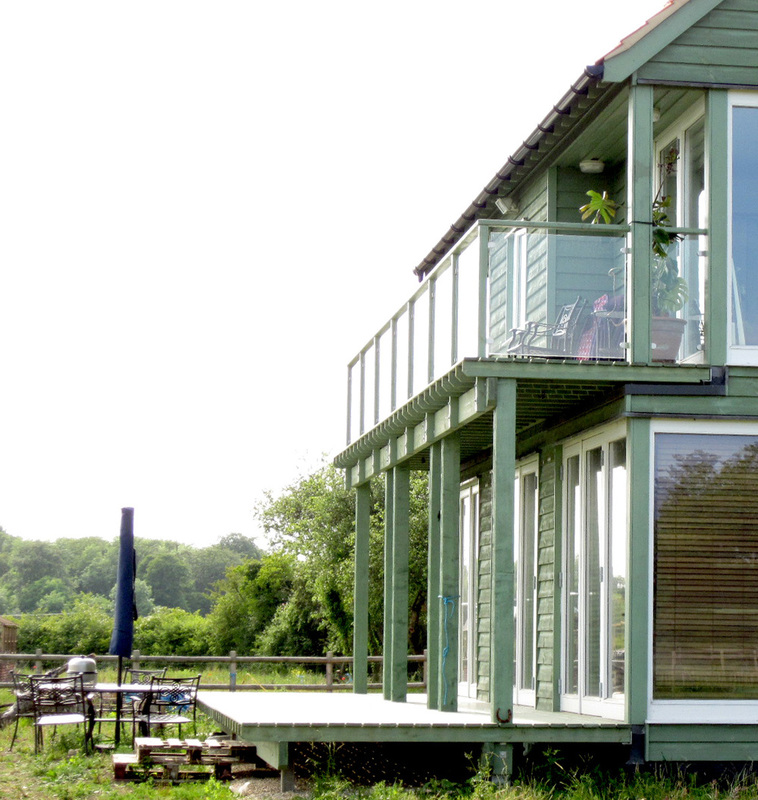 The principles of ecological building are to design the building for orientation to use solar gain, then maximise insulation and airtightness to reduce energy requirements, only then will you need a heat source which will be much reduced, or possibly not necessary at all.